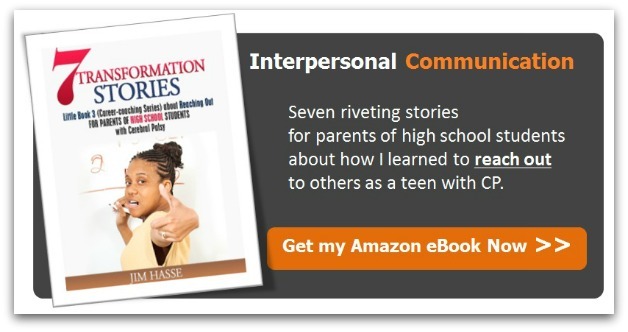 Now is the time to resolve interpersonal communication issues with your high school student. The steps you take now to help your youngster relate effectively with others will help him or her be ready to find meaningful work and build an enjoyable life. 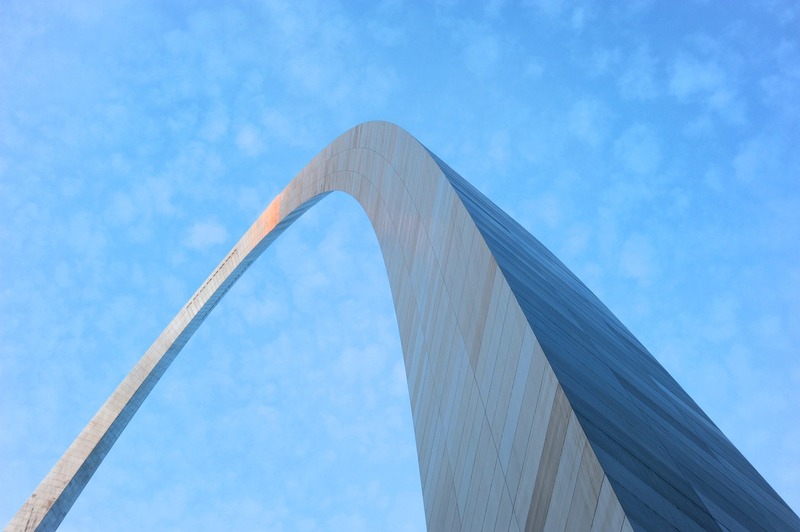 These are seven personal-experience stories (and seven learning experiences) about how I developed the ability to reach out effectively to others – an attribute essential to eventually building a meaningful career. 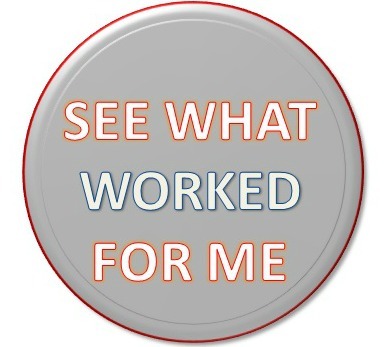 During the 1960s, I didn’t have an opportunity to tell my mom about those experiences. They are stories which now, decades later, may help you mentor your own youngster. Each of the seven Little Books takes about 40 minutes to read. 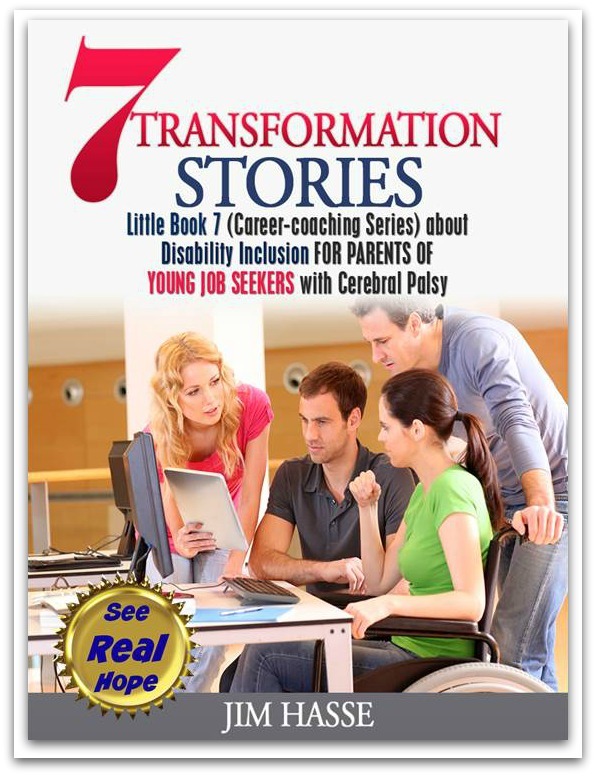 Each illustrates and summarizes the essential career builders for your youngster’s age group – all through seven transformation stories about my personal experience as a person with CP. Download all seven Little Books. "Wouldn't you rather have a Buick?" Lisa flippantly sang out as her blond hair whipped in the wind from the open car windows. She gave off a throaty laugh and down shifted her new '78 Regal as we approached a herd of Holsteins crossing the gravel road. Yes, I was with a blonde in a new Buick. My dream of being with a sharp girl who understood me was coming true. My spirit soared in the spring air. But, at the same time, something about Lisa troubled me. Perhaps she was too flippant, too carefree. Was she really interested in me? Or, was I just along for the ride? 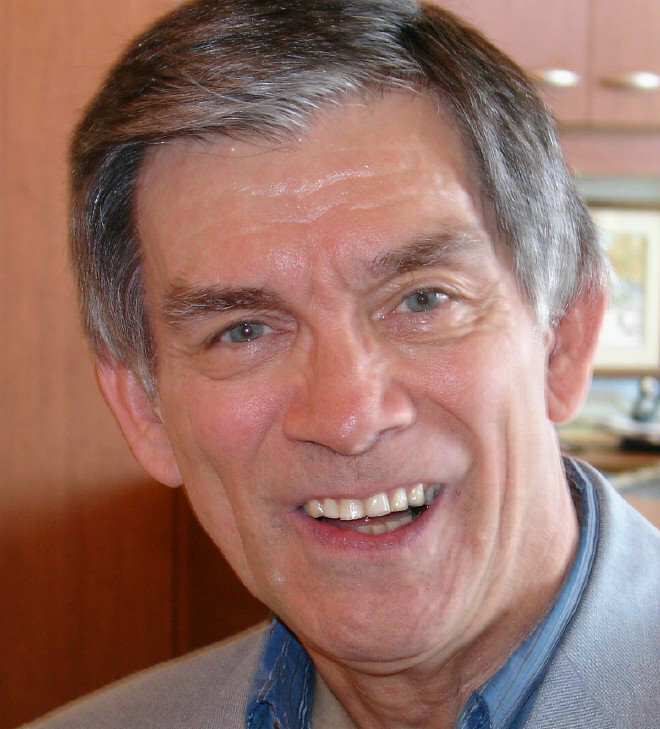 "Jim illustrates stories of growing up with rich, visual imagery and real human emotions. You'll be captivated. "With each of the seven stories, you'll find two reflective sections: 'The Issue,' which clearly identifies and defines emotions and 'My Resolution,' a series of significant stepping stones for moving forward (including skills, a framework for understanding today's work and workplaces, and core elements for building team, personal and work relationships). 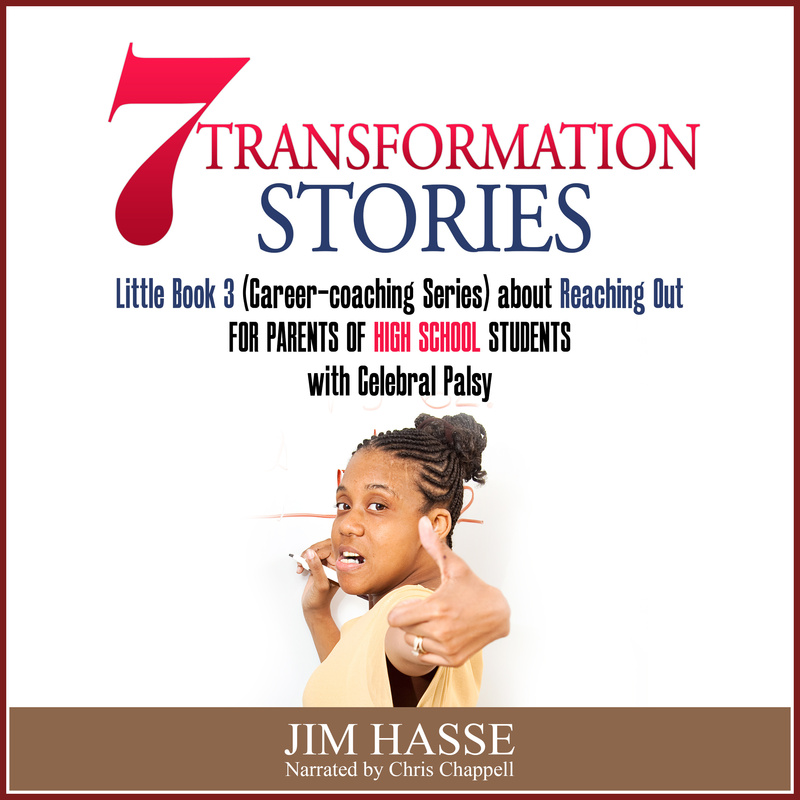 "You'll resolve to help others navigate and clarify their own transitions by using the insights, tools and templates Jim demonstrates in 7 Transformation Stories: Little Book 3 (Career-coaching Series) about Reaching Out for Parents of High School Students with Cerebral Palsy . "One other thought: This eBook also applies to people in general, especially to young people going through the pains of finding themselves. The insights into the CP impact are significant in giving enlightenment. But, I will also use them to guide conversations with our younger family members who are transitioning through life's lessons."